New boxes, originally uploaded by frykitty. 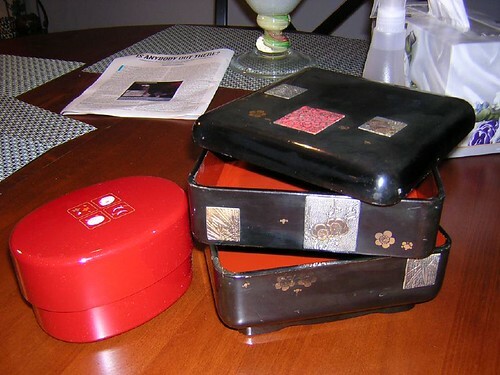 The red one on the left is just a standard two-tier plastic box. The one on the right is a lovely vintage lacquer piece of undetermined age. 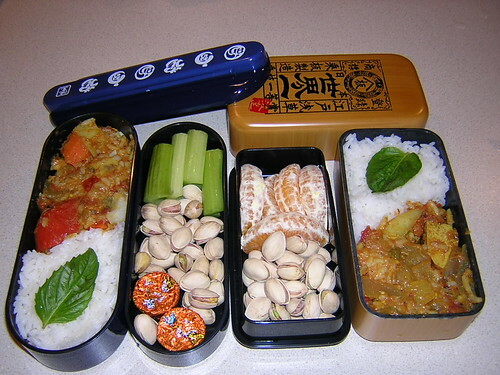 Bento 2 February 06, originally uploaded by frykitty. 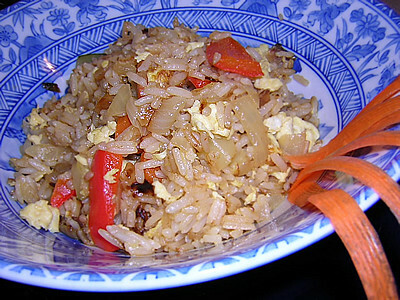 I ruined two batches of rice tonight! But I went with the second, mushy one anyway. 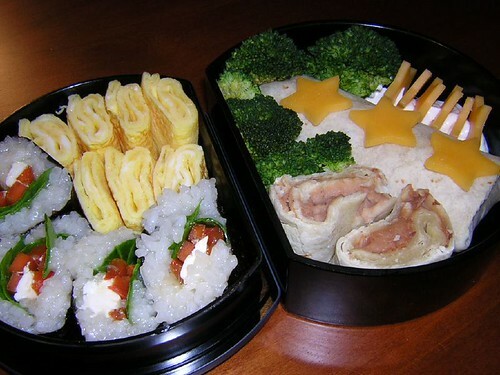 There are eggs with the veggie rolls, and to the right there's a burrito and some broccoli. The little cheese stars are standing in sour cream.